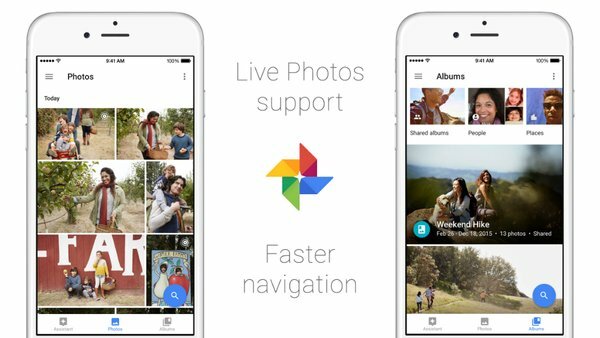 Google has integrated the technology from its Motion Stills app into Google Photos for iOS, enabling users of the latter to benefit from the Live Photos stabilization feature without having to download another app. Google's Motion Stills feature uses advanced stabilization and rendering to further manipulate Apple's Live Photos – pictures taken on supporting iPhones with a second and a half of video footage captured either side of the photo. The added feature means Google Photos can now freeze the background in Live Photos or create sweeping cinematic pans, and save the resulting creation as a looping video. In addition, the latest update to Google Photos includes the ability to sort photos in albums chronologically or by recently added. Google says it has also listened to feedback and users can now choose new thumbnails for faces in 'People' photo collections. Users can learn more about the technology behind Motion Stills stabilization here. I really wish Apple gave us enough free storage for me not to have to use Google Photos. That being said, I think GPhotos is one of their better products and better than any other solution for me right now. I'm excited to try out these new features. I do like some of what Google does, lots of clever people there, BUT it's Google's completely invasive way they go about their business, and all the sly requests to decrease privacy, that completely turns me off Google related products and services entirely.